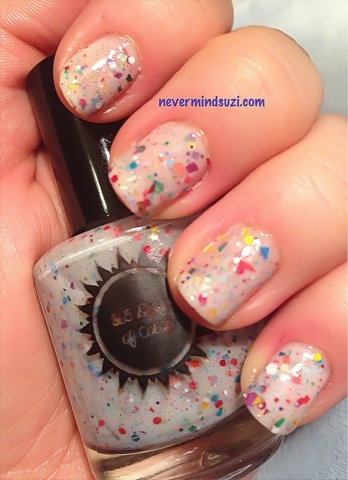 Today's polish is just fabulous! 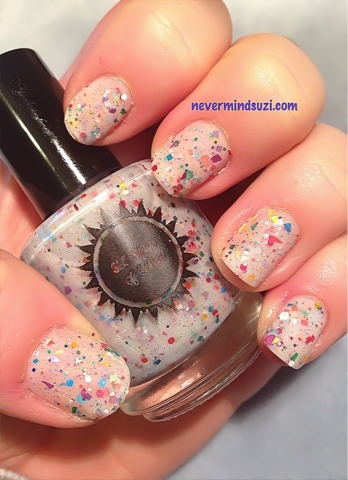 It's 365 Days of Color's 1 year anniversary so Sunny created this beauty as a limited edition polish and released 60 bottles only! 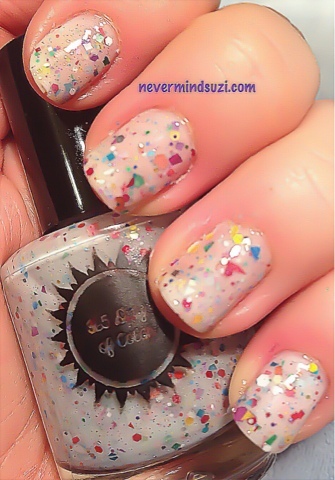 One Colorful Year is a white crelly base with almost every glitter Sunny has used this year. It's a party in a bottle. I was very lucky and got bottle number 1/60! Couldn't believe my luck.